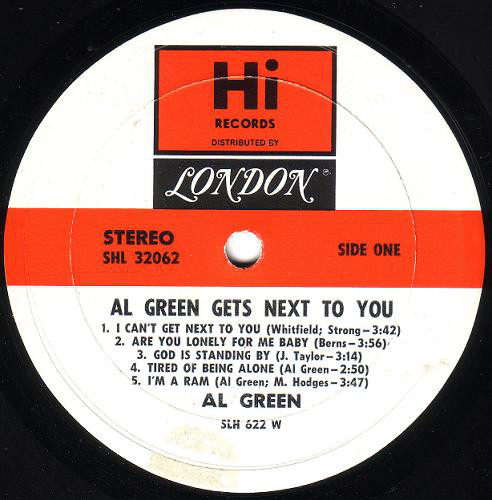 The Al Green albums from the early seventies are not albums that can be given detailed, in depth analysis. They are simply great soul albums, showcasing that horn-driven Memphis soul sound to great effect. 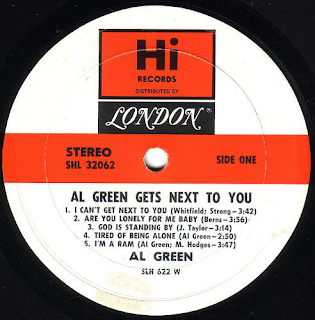 Green's voice is a smoother Otis Redding, but a gutsier Sam Cooke. He also has the soul strength of James Brown. You can listen to any of the three early seventies works of this album, "Let's Stay Together" or "Call Me" as examples. They are all equally as invigorating, energising and uplifting. On this album producer Willie Mitchell and Green laid down the foundations of their classic sound - big bass lines, thumping drums and those horns punching a hole in the wall. Just check out the first track - the Temptations' erstwhile upbeat "I Can't Get Next To You" is slowed down to be a down 'n' dirty soul grinder. It almost sounds like a completely different song. "Are You Lonely For Me Baby" is cooking, industrial strength soul. Lord have mercy. You can literally take any of these songs and enjoy them. The bass lines are all sumptuous, the horns so melodic yet powerful, the guitars so infectious and Green's voice is just sublime. The well known song on this album would do fine as an example. "Tired Of Being Alone" is just delicious but even the lesser-known songs like "God Is Standing By" is of equal top notch soul quality. Green can handle a cover too - The Doors' "Light My Fire" is given the Mitchell/Green treatment, and how. Slowed down groove and horns all over the place. The tempo on each track is pretty constant - slow burning, sensual, insistent and steadily pulsating. 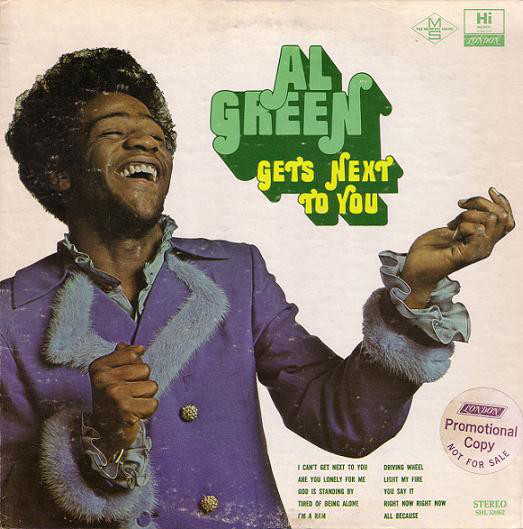 Green's funky, soulful voice compliments it perfectly. Listen to the muscular funk of "I'm A Ram", or the slightly psychedelic organ breaks on the wonderful "Driving Wheel". Look, I don't need to go on about each track individually, if you want some copper-bottomed early seventies soul quality, you can't go far wrong with this. The remastered sound is superb as well.